Nina Hovnanian has created another beautiful collection of fantasy dresses and skirts for children. And this season they have also added some amazing custom items for the special little ladies in your life. Pictured left is the new Valentine stationery. 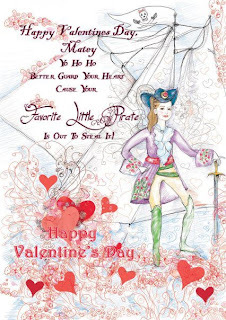 Ninachka Couture is offering personalized portrait valentines and stationery to send electronically or for print using your child's photo as a guide.We will be taking orders until Feb. 9. Give us your child's favorite theme, and we will fulfill your dreams. 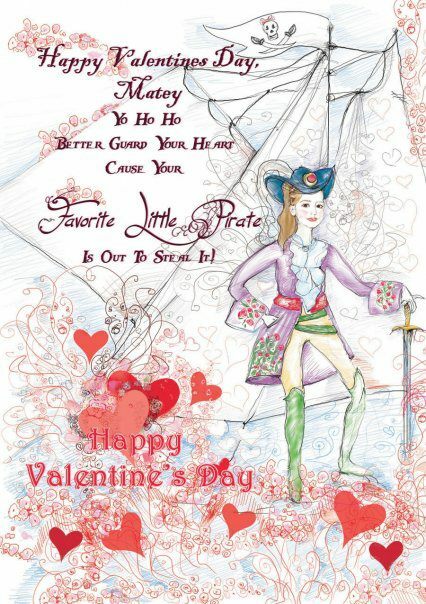 To order stationery or portrait dolls, call BritchinPost at 888.665.5151. 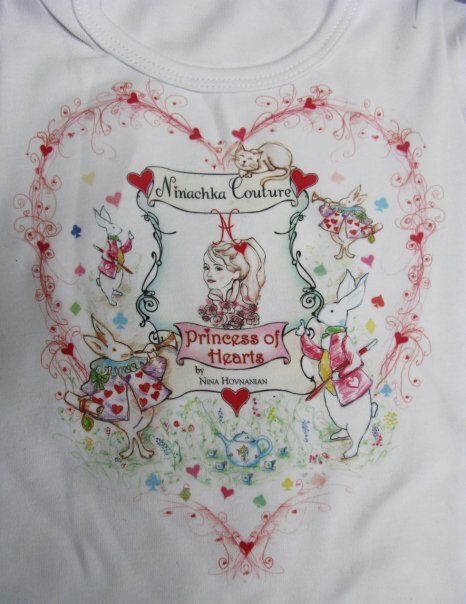 In addition, Ninachka Couture is hand-painting tee shirts and gorgeous little dolls in your child's image. These amazing, one-of-a-kind items are pure fantasy, and just what Nina Hovnanian Couture is all about! This is a very exclusive offer for our blog readers and BP Couture Model Club members. The dolls are hand-crocheted and arrive wearing one of Ninachka Couture's matching doll dresses. The dolls will be created to look like your little girl, with a hand painted face and matching features. Each doll is dressed in a miniature version of Ninachka Couture's beautiful silk dresses and skirts. View the collection of dolls in all their different dresses HERE. We are just as pleased as ever to offer the complete line of this inspired couture brand for your little girls. Nina Hovnanian presents the most luxurious fantasy driven collections any real princess could ever wish for. The Flirty Twirly Tulle collection has hand painted, bejeweled silk organza circle skirts that float atop silk chiffon and soft-to-the-touch tulle pettiskirts with hand finished tops fit for only fairy tale princesses. The Picture Perfect Princess is a collection of very special dresses with handpainted silk skirts beneath the most sumptuous hand knit, Swarovski encrusted sweater tops. These over-the-top treasures come with a handmade Ninachka tiara in a limited edition, zippered, satin lined storage case, so you can store this precious heirloom for generations to come. She does everything to make sure that her masterpieces are cherish-able not perishable. View the Ninachka Couture Collection HERE.